Leher Casuals in Jayanagar stocks Indian and Western clothes in loud prints, contemporary cuts and plenty of embellishments. Love clothes bright and bold? 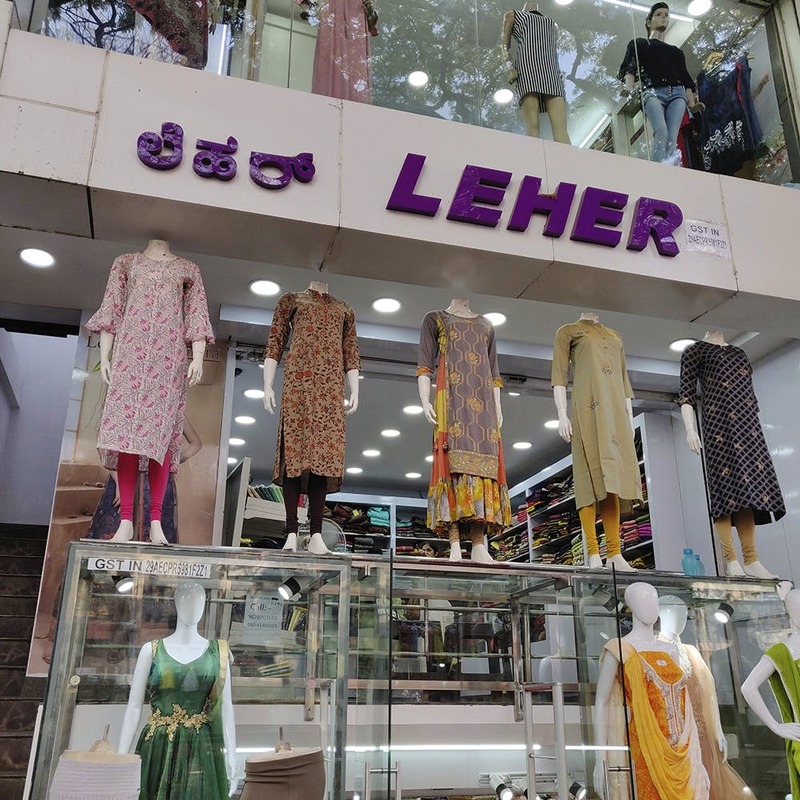 Head to Leher Casuals opposite the Jayanagar fourth block BDA Complex, and you'll be spoiled for choice if you're looking for women’s casual wear, be it Indian or Western. Spread over three floors, find unstitched salwar and lehenga sets (basement) as well as readymade has kurtas and (stitched) salwar sets on the first floor. Get Indo-western tunics and layered dresses (Anarkali style) with capes and coats, and long skirts with funky floral and ethnic prints for any mood. Prices for simple Kurtas start at INR 500, while the more elaborate ones start At INR 1,500. We'll have you know that none of them are heavy on the bling, so you won't have to worry about looking like a disco ball at functions. The third floor is for Western wear - Casual and formal (we wouldn't recommend the latter though). Find shift dresses, cold shoulder tops, peplum shirts and tunics in all colours of the rainbow, and then some. Most of them feature large (or colourful) prints and embellishments of some sort like buttons bows, self-work, and buckles. In fact, when we asked for something plain, he showed us a trumpet sleeve top with a string of pearls on the neckline. Tops start at INR 450 and dresses start at INR 950. They also have a range of denims, trousers and, shrugs and jackets. While their collections are all contemporary, we feel that the material used for Western wear could go through a quality upgrade. If you require minor alterations, they'll do it in store within the hour.